Lost in headlines about presidential electioneering and the roller coaster stock market is the news that October is designated to raise awareness of domestic violence. The irony is that financial shock waves may increase the prevalence of abuse. The economic turmoil will undoubtedly lead to greater fears, pressure and anxiety within families facing financial collapse – and that stress can lead to battering. 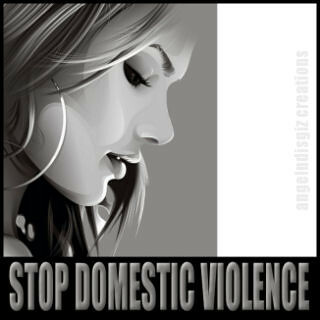 The Centers for Disease Control believes that 10% of the population is affected by domestic abuse, although it is estimated that only one-third of these cases are actually reported. It is the most common cause of injury for women ages 15 to 44 who suffer physical as well as emotional injury, such as depression, anxiety and social isolation. domestic violence, a photo by speak.india on Flickr. Why do women remain in abusive relationships? Frequently, the reason is fear – they’ve been brainwashed by the perpetrator, convinced that they are helpless and cannot cope alone. Or they’re afraid that the abusive partner will harm them or the children if they attempt to leave. Some victims incorrectly believe they are responsible – that they have caused the abuse or it is up to them to stay and keep the family together. Denial as a defense mechanism can remain strong: victims may not see themselves as battered and don’t believe the perpetrator will continue the abuse. If you’re afraid of your partner’s anger and how he/she treats you, your children or elders under your care, your first responsibility is to protect yourself and loved ones from harm. Resolve to begin the tough process of freeing yourself even if you feel trapped and so deeply entrenched in the dysfunctional relationship that it seems you’ll never break away. Visit our blog again on Wednesday as we give you some steps to start the process of protecting yourself.